An Avondale academic’s wholistic happiness message has reached an even wider audience after another national television appearance, this time on a health and wellbeing show. 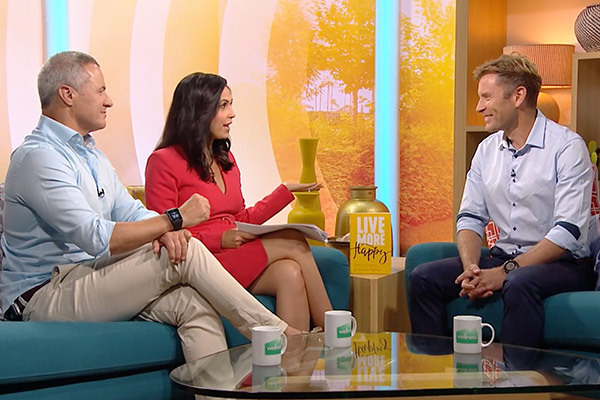 Dr Darren Morton spoke with The House of Wellness hosts Ed Phillips and Zoe Marshall about the key principles in his new book, Live More Happy—Morton appears at 34.45 in the clip. The Seven Network broadcast the show across Australia this past Sunday (May 6). 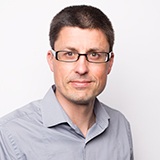 Morton is a pioneer in the emerging field of lifestyle medicine, appointed a founding fellow of the Australasian Society of Lifestyle Medicine and serving as Lead Researcher in the Lifestyle Research Centre and Course Convenor of Postgraduate Courses in Lifestyle Medicine at Avondale College of Higher Education. His International Day of Happiness began with an appearance on Channel 10’s Studio 10, where he shared with host Natarsha Belling and panellists Ita Buttrose, Joe Hildebrand and Jessica Rowe five science-backed principles for a happier life. He explained why: (1) Motion creates emotion—physical exercise improves your mood; (2) Blue and green should often be seen—fresh air, sunlight and open spaces make you feel better; and (3) Together feels better—community is important for general wellbeing. He also explained: (4) Feelings follow your focus—expressing gratitude, for instance, can make you happier; and (5) Giving is living—doing something to uplift another person has the power to uplift you, too. Morton then featured in interviews on major market radio stations in Perth (6PR) and Melbourne (3AW) and visited the Sydney studios of children’s radio station Kinderling, where he discussed happiness within the dynamics of families (see link below). He rounded out his day with an “Afternoons” interview on ABC Radio Brisbane. Over the past decade, neuroscience, positive psychology and lifestyle medicine have exploded as areas of research and healthcare. Live More Happy incorporates this new information. While the book maintains Seven Secrets’ easy-to-read and accessible style, it includes more than 200 references. Live More Happy is available from bookstores in Australia and New Zealand or from www.drdarrenmorton.com.